We at SAFFRON have forayed into CORPORATE TRAINING .World over there is an increased focus on increasing the productivity of team members within every organisation. HR has taken a serious view of it and every company with focus on growth is taking re-skilling and training of their team as a core initiative. Statistics prove that organisations that invest in training programs are more attuned to achieving their goals and have employees who are more productive. SAFFRON has customized solutions for organizations keen to upgrade their staff through training programs are serviced with an objective driven approach. We give a platform based on which organisations aiming at employee development can engage with us and work in a collaborative manner. Our strategy stems from the evolution that the market witnessed over a period of time and expert engagement became the requirement instead of conventional trainers taking training programs. Our offering includes providing you with the best expert for the training and our pricing model guarantees our clients cost efficiency of the highest order. our attempt is to break through all potential barriers and make corporate training core DNA of our client. We operate as a training arm of our clientâ��s organization, engage their employee development and work in a collaborative manner with them. 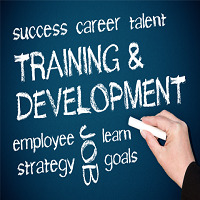 Today clients are mindful that companies that invest in training programs are more attuned to achieving their goals through employees who are more productive. At SAFFRON we seek the attention of L & D professionals,, HR professionals and all Divsional Heads in order to imbibe training as an integral management tool. We take pride in mentioning that we have financially re-engineered prevailing market norms to provide our clients with a better value for money model thus â��giving them more for same spend or giving them same for lessâ��. We have brought together a highly engaging network of Subject Matter Experts who shall be happy to serve your team for their sheer passion of transfer of knowledge and skills. We are a single platform where most of your training requirements can be serviced. Based on the feedback obtained from the marketplace, SAFFRON has carved out specific areas where companies normally need training interventions. Our courses range from IT Training Programs, to a suite of Behavioral Training, Experiential Learning, Distance Learning, to need based Niche training. Our engagement model is based on we operating as a part of the training department wherein we imbibe the core requirements and work as a part of the training team to ensure smooth execution. Being a part of this evolving corporate training arena, SAFFRON brings you innovative models of engagement, intensive technology adoption, creative business models and most of all an attitude of excellence. Our intent is to bring dimensional changes in the way corporate training industry operates that too in a cost effective manner.